WID-TVC recently donated 10 new Apple iPads to the Hands-On Science Center! These iPads will be used in the classrooms to teach students researching skills and present more interactive opportunities for current exhibits. Check out the full articlehere. WID-TVC sponsored Tech Trek, an experiential science and technology summer camp for rising eighth grade girls, for a second year! This year, Tech Trek was held at UAH June 18-24.64 girls from 46 schools in 17 Alabama counties studied with some of Alabama’s brightest women. We were honored to receive this large thank you card from campers. Check out more here. The two new projects started in Spring 2017 were Earthquake Simulators for both Horizon and Madison Elementary Schools. 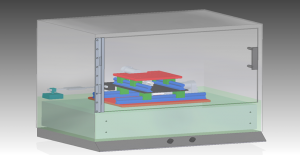 The first semester work was completed, including final resolution of requirements, initial system architecture concept, patent searches, functional and safety evaluations, concept of operations, preliminary functional baseline, risk assessment and issue mitigations, structural analysis, potential manufacturing techniques, test planning, cost analysis, and two formal reviews, culminating in a critical design review. Second semester work will commence during Fall semester 2017 for both projects. 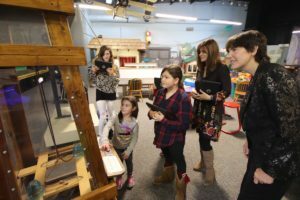 WID will continue STEM outreach throughout 2017 with completion and delivery of both Earthquake Simulators and the start of two new projects in the fall. The new projects that are tentatively scheduled are a Portable Roller Coaster System for Mt. Carmel Elementary School in Madison County, AL, and a Vertical Wind Tunnel for the STEM Center of the Boys and Girls Clubs of North Alabama. Our chapter, in conjunction with the Arnold Engineering Development Center STEM office, completed the first year of StellarXplorers on March 17. 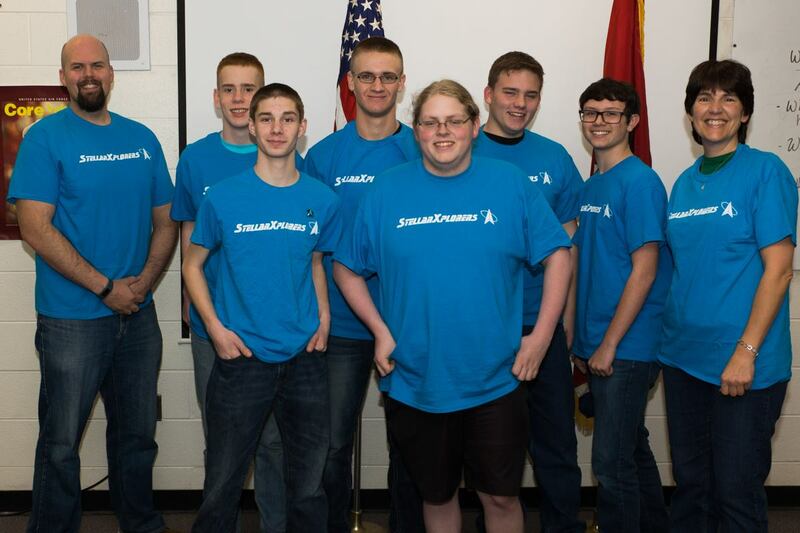 We had seven students form two teams at Coffee County High School in Manchester, TN. Maj. David Clontz at CCHS Air Force Junior ROTC served as the coach and Chad Overcast, an Astrophysicist from AEDC, co-mentored with Kim Nelson from our WID Chapter. WID-TVC provided two laptops, one for each team, which enabled students to learn to use Analytical Graphics Inc. Systems Tool Kit. Jere Matty from the AEDC STEM office provided the registration for the teams. Students went through three phases of competition learning space system design, orbital mechanics, system integration, and launch missions. Each round involved a 1-hour 20-question quiz followed by a 5-hour window to solve a given mission scenario. Scenarios involved analysis and engineering trades to determine the best solutions for given requirements. Students learned the importance of managing time, maintaining configuration control of documents, staying within mission budget, and “thinking before doing”. Our teams enjoyed the competition and want to participate again next year. One of our teams was awarded second place in the Prestige Round for the Eastern Division. 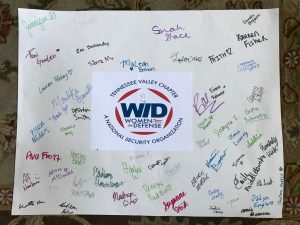 WID will continue to partner with the AEDC STEM office to support StellarXplorers next year and increase STEM activities in the Tennessee Valley. A Portable Roller Coaster System was completed and delivered to Harvest Elementary School in Harvest, AL during Spring 2017. 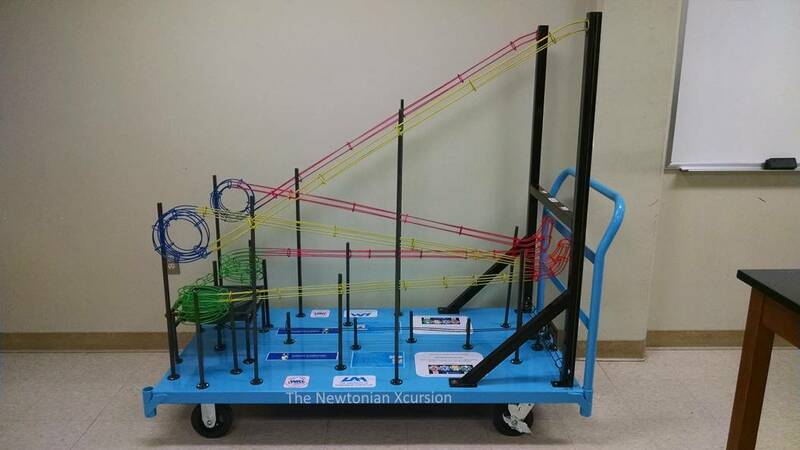 This project consists of two roller coaster tracks situated on a portable cart with obstacles, materials, and track designs that introduce different scenarios for a marble to roll through. The science principles illustrated by this system include conversion of potential energy to kinetic energy, friction, centrifugal and centripetal force, and velocity and acceleration. 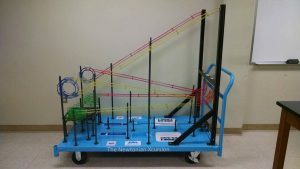 The system will be used by 4th and 5th grade students who will utilize a lift mechanism to raise the marbles to the tops of the tracks and then race them against each other while studying the reasons why a particular marble wins the race.